Made of stainless steel, the Bbq Tools Set including a silicon Oil Brush, a slotted spatula, a bbq fork , and a tong is temperature resistant hard stainless steel grips. Also,the food grade grade and easy clean material is odor free and safe FDA silicone .Dishwasher Safe. Bring them back to dishwasher, or just wipe off stains and clean with water in the wild. The metal bracket can hold the BBQ Tools steadily without shake.The bracket of BBQ Tools Set show the item clearly. 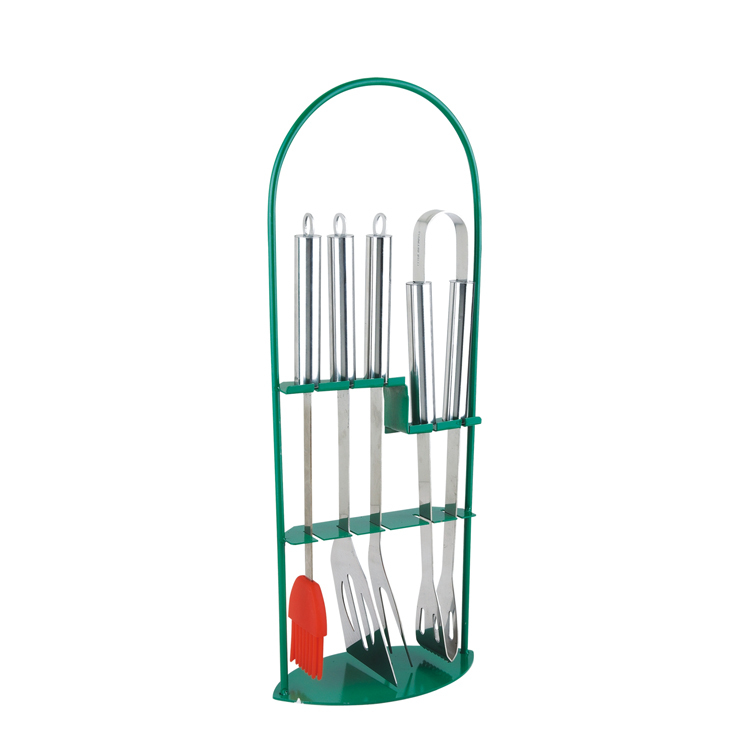 Looking for ideal Bbq Tools Set with Green Rack Manufacturer & supplier ? We have a wide selection at great prices to help you get creative. All the 5pcs Fancy Barbecue Tools Set are quality guaranteed. We are China Origin Factory of Stainless Steel Bbq Grill Tools Set. If you have any question, please feel free to contact us.